I think we used everything but the Tasty Trucks stamps and the Metallic Ribbon Combo Pack. There are so many free items to choose from, it was hard to use them all! There's only 1 week left for Sale-a-bration! Don't wait, as you can see, some things are selling out. 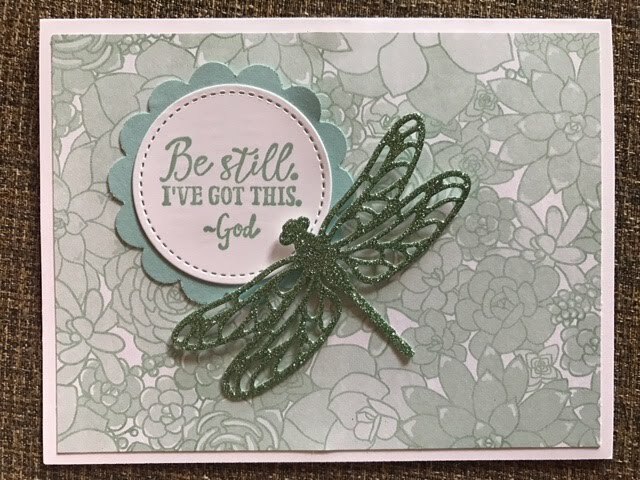 AND Stampin' Up announced more items just this week! There's some great paper in this list! Let me know right away if you want to take advantage of this once a year opportunity to earn free products. Another part of Sale-a-bration is the extra goodies you get for joining my team. The Starter Kit is always a great deal - you get $125 of product for $99 (shipping included). But during Sale-a-bration this year you get to pick out 2 free stamp sets. ANY stamp sets - even the $49 Letters for You set. Another perk of joining Stampin' Up is you 20% off anything else you purchase. Let me know if you would like to take advantage of this and join my team. 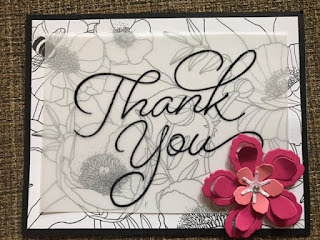 We get together once a month to stamp and have fun!